Originally I was planning to shoot an outfit post today, but unfortunately since the weather isn't cooperating, that doesn't look like it's going to be happen. So instead, I wanted to try a super fun post that I've seen floating around, most recently on Iridescent Places. 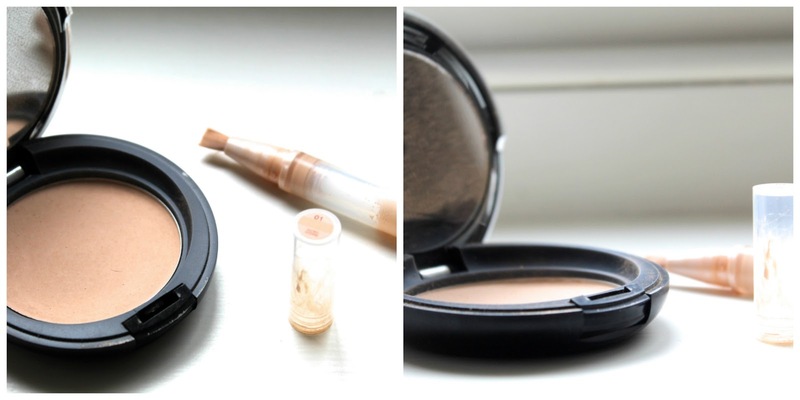 The idea behind this post is to try and put together a makeup post using only 5 products. Now I've just jotted up, and as someone who wears 13 different products on their face usually, this was certainly a challenge! But in all honesty I'm actually really happy with the way the look turned out, even though wearing no eyeshadows makes me feel semi naked. If you want to see the finished look, I've included a photo at the end of the post. Yeah, this had to stay! As someone who gets pretty bad shadows under their eyes I just couldn't afford to skip out on concealer. 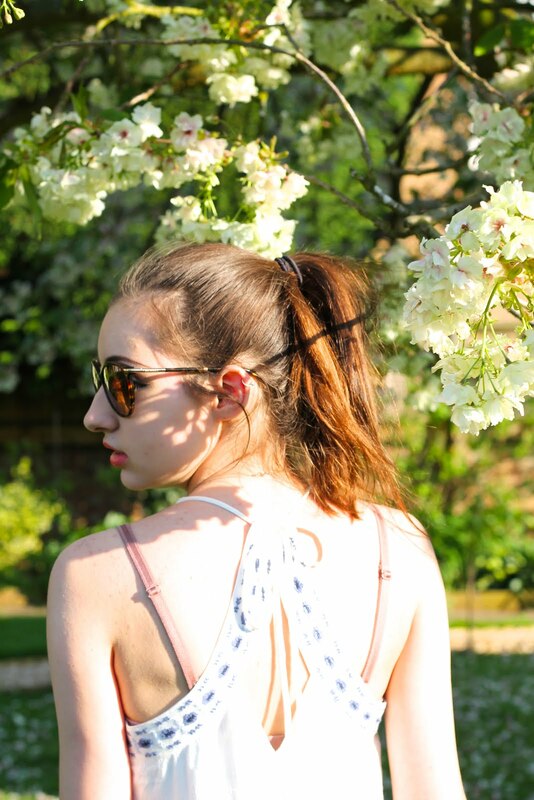 As usual I'm wearing the Maybelline Dream Lumi Touch, (which I'm obsessed with!) and I've applied it under my eyes, along the bridge of my nose and on my chin. This product is photographed above, though since I'm nearing the end of my tube, it's looking pretty gross! I don't wear liquid foundation at all, ever, so this acts as a little light coverage for any pigmentation issues and / or spots. Yep, you guessed it! *Insert my mad ravings about how much I adore the Body Shop All-In-One Face Base*. There was just no way in hell I could even think about creating a makeup look without this baby in it. It's the perfect balance of coverage and matte without looking cakey and gross. That is one problem with powder foundations - especially on those of us 'blessed' with oily skin - throughout the day they can end up oxidising and looking gunky. Ew, no thank you. But as I've said before, this product doesn't do that at all and I would highly, highly recommend you buying some! Okay so this was where I had the most problems. Usually when I'm filling in my eyebrows I like to go for something quite dark and striking to match my hair colour, however since I was limited on product choice I didn't have my usual scope to choose from. So instead of using my l'Oreal eyeliner in the shade 102 and my dark matte brown body shop eyeshadow, I decided to try the brow shade from this amazing Smashbox palette. And I mean, it worked... Sorta. I have pretty unruly brows to say the least and I don't think using a powder alone had kept them tethered enough, but at least they kind of match my hair colour now?! Because there was absolutely no colour in this makeup look - no eyeshadow or blush etc - I decided to add a pop of colour into the lipstick so I didn't look deathly pale. Originally I wanted to borrow a lovely pink Laura Mercier shade off of my mum but when I went to go scour her makeup collection I couldn't find it. 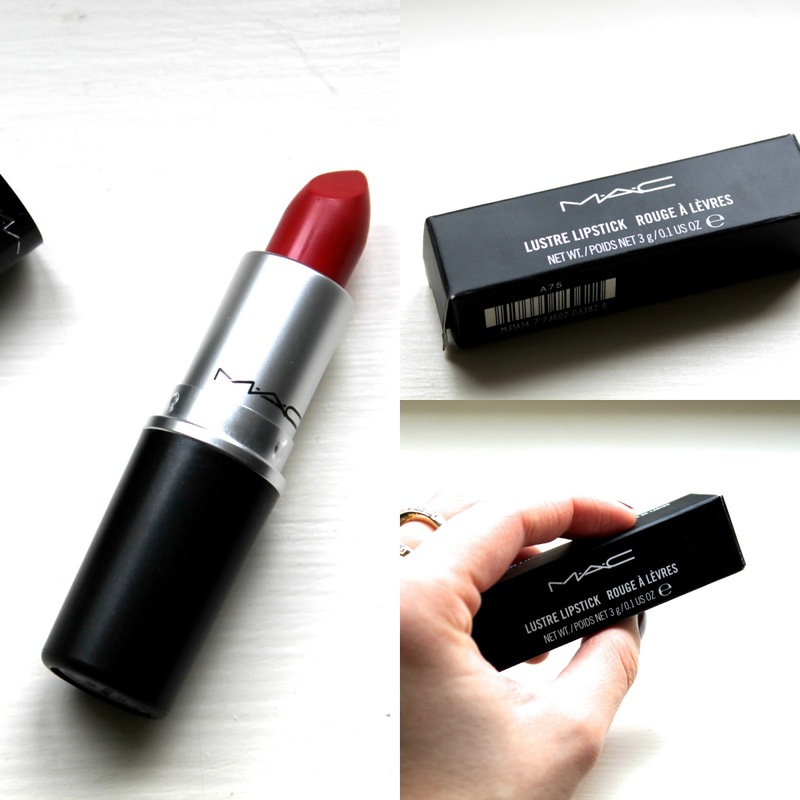 *Cries* So instead of that, I'm sporting my beloved MAC lippie in the shade See Sheer. It's from the Lustre Collection and is my most worn lipstick... ever. And lastly: Mascara. When I first thought about the products I would use, this was pretty much a dead cert. Having long and thick lashes draws the attention away from my lack of blush and bronzer and hopefully pulls the whole look together. 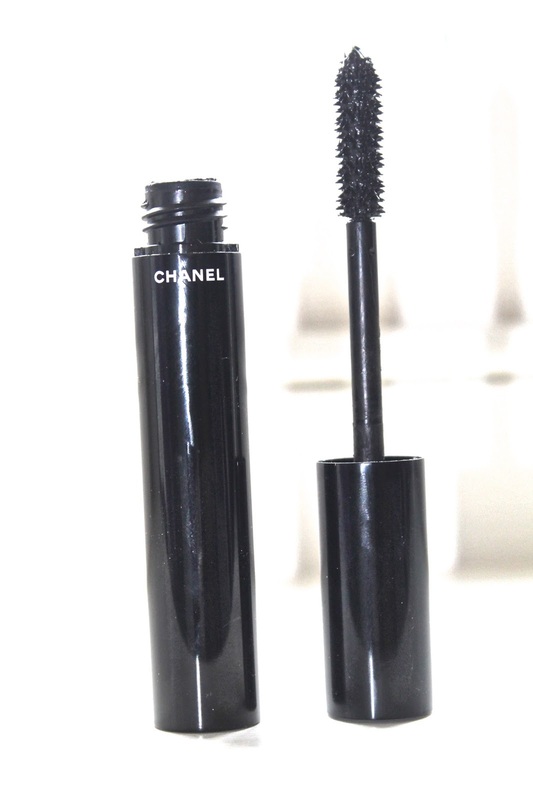 Unsurprisingly I'm using my favourite Chanel mascara (nothing can beat it in my humble opinion) which I've also smudged a little under my lower lash line to create a smoky effect. Hopefully this makes up for my lack of wings! And that concludes this post! Like I said at the top, I'm pretty happy with how this looks, even if it is a lot less than what I usually wear. But with summer right around the corner *she says as it rains buckets outside* wearing less makeup is a lot healthier for your skin, especially if it's hot out. So maybe, just maybe I'll adopt this come July time!